Fox's Sleepy Hollow was one of last year's few success stories on TV, earning a season 2 only three episodes into its run. Now the series is set to return in just a few months with at least 15 new episodes (as producers prepare for up to 18) and what the cast and crew tease is an 'explosive' season premiere. One thing fans are no doubt waiting to see is the reunion of Ichabod Crane (Tom Mison) and Lt. Abbie Mills (Nicole Beharie). In the finale, the two Witnesses were unjustly separated by the forces of evil, with Abbie stuck in purgatory after trading places with Ichabod's wife Katrina (Katia Winter) and Ichabod buried alive by the Horseman of War (otherwise known as his son, Jeremy, played by Fringe's John Noble). Katrina herself was later taken by the Horseman of Death (better known as Headless or, in his human form, Abraham, played by Neil Jackson), while Captain Frank Irving (Orlando Jones) was arrested for murder and Abbie's sister Jenny (Lyndie Greenwood) was injured in a car crash, leaving no one left to fight the coming apocalypse. The new promo at the top of the page touts, "War isn't coming to Sleepy Hollow, it's been here all along," and it definitely appears so as Moloch clearly had everything planned out from the start. Thus, it makes sense that the new slogan for season 2 is "Evil takes hold." This first clip from season 2 below shows Ichabod and Abbie together again and brings back one of the many highlights of watching Sleepy Hollow: Ichabod's frequent frustrations with modern technology and ideals. Here the two visit a Savings & Loan, and madness then ensues when an employee offers him a credit card. Headless, the Horseman of Death, was enemy number one in the first season, and it doesn't look like that's going to be changing anytime soon now that he has Katrina. In this second clip, Ichabod and Abbie attempt to distract Headless' alter-ego Abraham so that they can rescue Katrina, but all doesn't go according to plan. At this point, we have yet to meet two of the Horsemen, Benjamin Franklin (Timothy Busfield) is joining the series and there's still a lot of story left to be told in Sleepy Hollow. For some TV series, an increase in episodes could mean more filler, but in this case, extra time should allow the writers to weave an even greater web of mythology, which can only be a plus with a back-story as complicated as this one. Are you excited about what's in store for season 2 of Sleepy Hollow? What storylines and characters would you like to see more of? Let us know in the comments below. 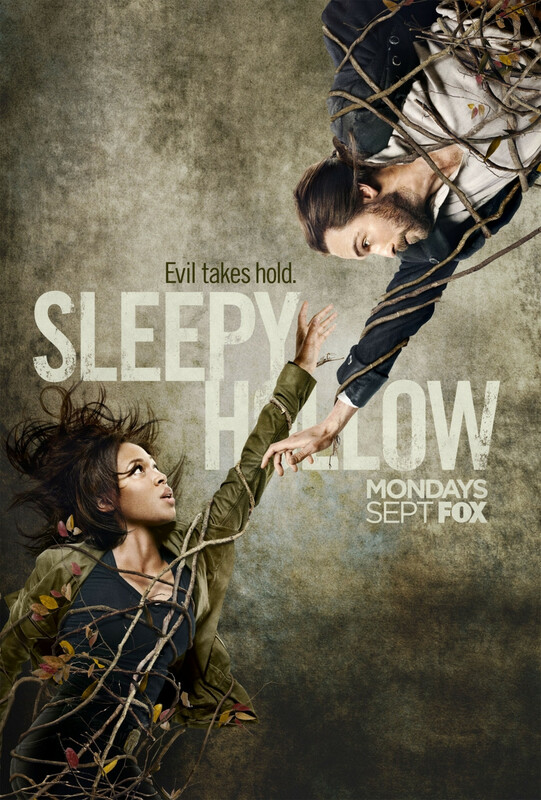 Sleepy Hollow returns Sept. 22nd at 9PM on Fox.